In a non stick pan add 3 tbsp of oil. Add Gur / Jaggery; keep the heat on slow flame. Now let the gur melt until it is golden brown. Add saunf / fennel seeds to the mixture along with peanuts. On a foil paper spray oil and lay it down on the flat surface. Remove it from heat and pour the mixture on foil paper and spread it well. Cool down the mixture, until it is hard. Break it down into pieces with some hard thing. Enjoy in cool winters with tea, coffee. 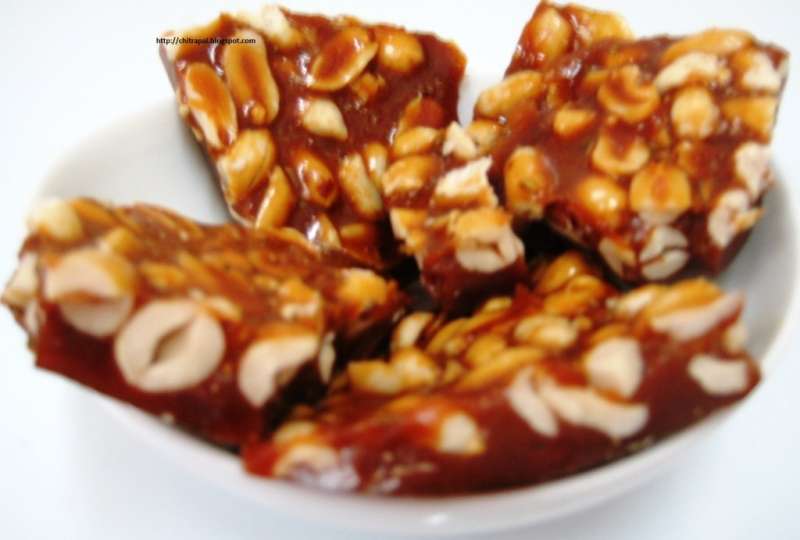 u hv not given the recipe of gazak.Its chikki not gazak.please share if u know.